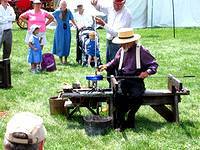 You might as well mark your calendar because everyone is going to the Kutztown Fair. 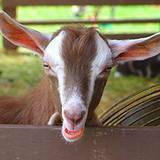 It's the biggest little county fair in Pennsylvania with a Pennsylvania-Dutch theme that has a little bit of absolutely everything you can imagine from a German community. Even though Pennsylvania is known as the biggest agriculture land in the world this county fair, located in Berks County, PA, actually started out as a military fair. The August 12 & 13, 1831 fair advertised good music and pretty girls. It was described as a "hilarious sport" and included a military parade, shows, good pastimes of all kinds, much beer, meat, sweet meats, and fruit. A pamphlet written in German advertised the 1836 fair as the " Glaenzende Fair in der Stadt Kutztown " (small fair in the town of Kutztown). It was held on September 2 & 3, 1836. The 1915 Centennial History described the fair as being seldom bloodless. " Men of brutal disposition looked forward to determining who would be known as the bully for the coming year. Fights and brawls were common occurrences. This did not elevate life. Over the last 100 years the Kutztown Fair has changed with the times and grown considerably. 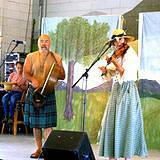 Each year the Kutztown Fair Association looks to improve their fine little fair. The next 100 years promises to be even better than the last 100. 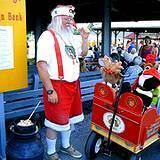 Ahh, did I mention Kutztown, Pennsylvania also has an annual festival? 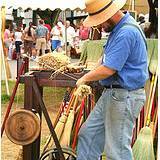 It's called, what else, The Kutztown Festival, it's a nine day festival of Pennsylvania Dutch events that you can only find in a community like Kutztown. Here's your opportunity to introduce your family to Pennsylvania-Dutch traditions, folklore, dialect, food and entertainment. It's a part of Pennsylvania history that the German people formed as a Pennsylvania colony many years ago. 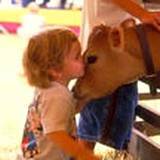 You're going to love browsing through the exhibits of farm animals, fruits and vegetables and seeing who gets the blue ribbons this year. 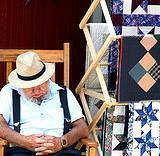 See handmade quilts, pottery, furniture and toys. 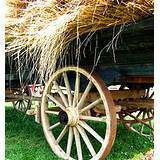 Everything on display is made in the tradition of the early European settlers. The craftsmanship and love put into their work is unlike anything else on earth. Even more fun than seeing the finished product is watching the artists at work. 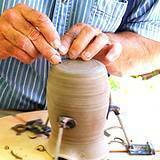 See the potter spinning his potters-wheel and create of piece of art that is an honor to own. 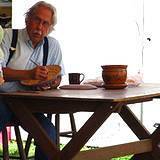 Watch the artist painting the pots to display and sell. See the glass blower start with nothing but raw materials and create a piece of glass that is a true work of art. Watch the broom maker get a quality broom together before you eyes. You can't buy brooms like this in a shopping mall. Pennsylvania-Dutch food is probably the best food in the world. But then again, I was raised on these dishes. How does a hot apple dumpling, or strawberry shortcake sound? Try dishes like county chicken dinners, homemade bread, wurst and sausage sandwiches. Of course you can always have the traditional foods you find at any county fair. Although, I can't imagine why you would. Every Pennsylvania County Fair has the carnival to look forward to and the Kutztown Fair is no different. The Tons of Fun Company will host the rides, games, and shows again this year. Their rides and games are as unique as the Kutztown Fair. From Allentown: Follow RT 78 west to RT 100 South. Follow Rt. 100 south about .25 mile, across a set of railroad tracks, to Schantz Road. Turn right onto Schantz road and follow Schantz road until it merges with RT 222, about 2 miles. Follow RT 222 South until it turns into a four-lane highway about 5 miles. Get off RT 222 at Exit 2, RT 737. Turn left onto RT 737 south and follow it to a stoplight. At the stoplight turn right and proceed to the third stoplight. Turn right. The Fairgrounds is two blocks on your right. From Reading:Follow RT 222 north to exit 1, Virginville, Kutztown. Follow business RT 222 North past the airport, thru Kutztown University to the first stoplight. Turn left. The Fairgrounds is two blocks on your right.